Freedom Alliance historically participates in the U.S. Tennis Open in New York City, bringing along several veterans and their family members. As much fun as that is, many combat service members have an aversion to loud noises and crowds. This year, we decided to attach a couple of days in the country to the end of our New York trip, as a way to extend the recreation and decompress from the fast pace of city life. Porter Hopkins, a Korean War veteran who served in the Maryland legislature, owns a beautiful property in Cambridge, Maryland. 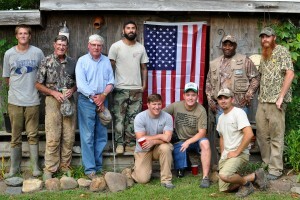 Mr. Hopkins was kind enough to invite Freedom Alliance to a dove hunt on his farm the weekend of our New York trip. With the fellows who attended the U.S. Open, we left the city and headed south. There we met up with Denny, a soldier who was wounded during a convoy in Iraq. Denny, a Louisiana native, is currently assigned to the Warrior Transition Battalion at Fort Meade. 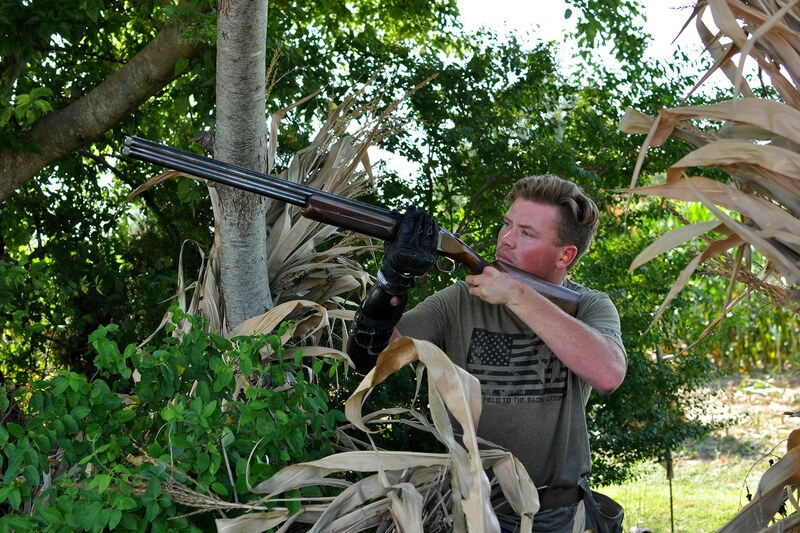 He attended a Freedom Alliance dove hunt at the Hopkins estate the year before and was keen to come again. 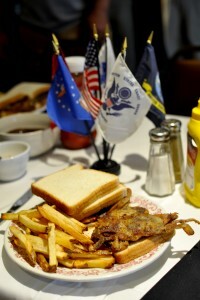 The American Legion post in Cambridge welcomed us to their neighborhood with a special lunch, characteristic of the Chesapeake: delicious locally caught soft-shell crab sandwiches. From there, we drove to meet Mr. Hopkins, along with some community volunteers and their faithful bird dogs. The troops very much enjoyed their late-afternoon trigger time, when the doves descended as the day’s heat began to melt away. Their time in the outdoors was therapeutic and inspiriting. After the shooting, the hunters were treated to a meal of dove breasts, wild turkey, and frog legs. Porter’s wife, Patty, baked an assortment of lovely desserts, and thus concluded our adventure on a sweet note. The servicemen flew home the next day, satisfied with memories of city and country and a well-deserved sense of accomplishment.